Basketball Stretching – Have You Committed Yet? Basketball stretching is an essential component of fitness that is often undervalued by young athletes for its ability to enhance overall basketball performance. Many young players are only spending a bare minimum of about 5-10 minutes simply “going through the motions” of their stretching routine without any real commitment to achieving the benefits that stretching has to offer. Does this scenario sound familiar to you? This lack of stretching issue isn’t a matter of ‘want to ‘in most cases, it’s simply a lack of education as to what stretching does for the body. Whether you’re a player that already enjoys spending time stretching or one that wouldn’t spend any time doing it if it weren’t for your coach or trainer requiring that you do so – my goal within this article is to teach you more about the ways that stretching can help take your basketball performance to the next level by increasing your flexibility and range of motion, reducing muscular imbalances, preventing injuries, increasing circulation in the body and strengthening the nervous system. Flexibility comes more naturally for some people than others, however anyone can reach their full flexibility potential by increasing their average daily stretching time from 5-10 minutes to at least 30 minutes. Some people take it a step further by utilizing a yoga practice that typically lasts up to an hour. Basically, the more time you spend stretching the more flexible you will become and the better range of motion you will have in your shoulder and pelvic girdles. An increased range of motion means a lot for a basketball player. How would you like to increase the size of your first step to the basket? What about being able to extend your reach to the goal a bit further on your layups or dunks? Or, maybe you need to lengthen your defensive shuffle strides to make you a more effective defender. Increased flexibility and range of motion can take you to the next level with your basketball game by giving you a competitive edge physically in all of those tiny ways that you need it most! Every basketball player is susceptible to muscular imbalances simply because of the nature of the game. Hours of strength training, maneuvering laterally on cuts and explosive jumping take a toll on the muscles and joints. Muscular imbalance happens when opposing muscles in the body such as the quadriceps and hamstrings of the knee joint become out of sync due to repetitive movements or poor posture over an extended period of time. Basically, one of the opposing muscles either becomes too tight, too weak or often both causing increased tension on the joint that the imbalanced muscles surround leading to aches, pains and potentially injury. For example, what do you guess is going to happen to the knees of a player who has been playing defense with their weight distributed too forward over their body rather than centered for years? Hopefully you get the picture here – they have developed a serious muscular imbalance between the quads and hamstrings which could lead to aching, injury prone knees even at a young age. You can be sure that this player is not going to reach their full potential athletically until they correct the muscular imbalance. The good news is that most muscular imbalances can be alleviated and even prevented by including a quality stretching regimen into your program. If you have a knee, hip, shoulder or ankle joint that has been bothering you and don’t recall any traumatic incident that would have caused the pain, then it’s safe to assume that you are needing to spend more time stretching yourself out. Proper daily stretching will ensure that you are giving much needed attention to all of your major muscle groups to help maintain balance for healthy muscular function. Some of the most common basketball injuries involve the hips, knees, ankles and feet. From ligament tears in the knees, chronic ankle sprains, inflammation of the tendons in the feet and pulled hip muscles – all of these injuries can cause players to miss several games if not the rest of the season. Quality routine stretching, before and after you exercise and play, can give you a peace of mind by knowing that you are doing the number one preventative thing to offset these most common basketball injuries. It isn’t always a guarantee because sometimes things just happen, but the facts are that the more flexible you are, the less likely you are to suffer from common basketball injuries. It’s impossible to make a difference on the court if you are always worried about injury or nursing injuries, so the best thing to do is take action to prevent them the best way possible. A strenuous basketball workout or game can really push your physical limits leaving you sore and less mobile for hours and sometimes days after. The soreness that you feel after a limit pushing game is due to micro tears in the muscles. Once these tiny tears have occurred, the body needs to send more blood to the damaged muscles to help them begin to repair and heal. Stretching helps speed up this process by increasing circulation and blood flow; where blood travels, so do oxygen and nutrients. So, the more time you devote to stretching, the less time it will take your body to recover and be ready for the next workout, practice or game. Daily stretching is a practice that not only benefits your muscles, but also helps to strengthen your nervous system. The nervous system is bundled within connective tissues that run along the muscles of the body, meaning the health and function of your muscles and nerves are closely related. Proper stretching incorporates deep breathing techniques which helps balance the mind and body. When you are breathing deeply rather than shallow and rapid, your nervous system is able to relax and reset resulting in an overall strengthened system. A healthy nervous system can enhance your basketball performance by preparing you to handle and withstand stress that happens often in high pressure game situations. As you’ve now learned, stretching is not something to be taken lightly. It is a key component of fitness that is capable of helping you improve the function of the muscles, ligaments, tendons, joints and nerves in your body which is sure to enhance your overall basketball performance. Austin basketball trainer Chris Corbett has a couple of students who are also in Austin Gymnastics programs. Their commitment to gymnastics and stretching makes them standout amongst their peers as their balance, flexibility, and core strength keeps them on their feet and flexible. Aim to spend no less than 15 minutes during both your warm-up and cool-down before workouts, practices and games. Remember, always stretch after a brief cardio warm-up since cold muscles are more inflexible and you won’t get the results you will with already warm muscles. 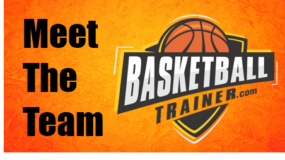 Get to your basketball trainer, discuss basketball stretching and enjoy the great benefits it has to offer your body and game!